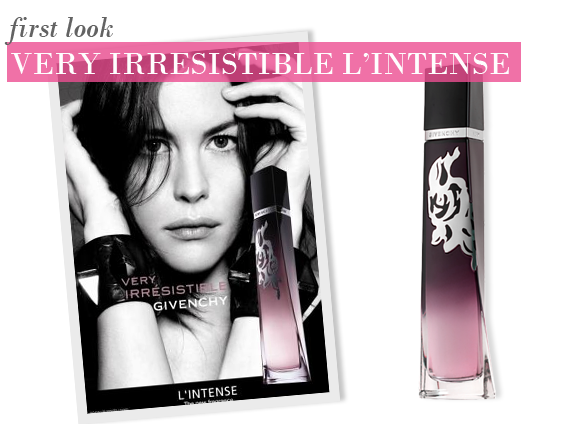 A first look at a new expression of Very Irresistible sensuality: Very Irresistible Givenchy L’Intense. She is a muse and a goddess, with a self-restraint and an air of mystery that ensures she is always in the minds of many. She has long since shed her younger, more impulsive ways; her personality has taken on an assertive quality and an intense charisma that is all her own. She is resolutely contemporary, self-assured, and completely and utterly irresistible in a more passionate way. She is Liv Tyler, the subject of a Givenchy love story since 2003. With every incarnation of Very Irresistible, she has perfectly embodied the scent with her inimitable mix of sensuality and joie de vivre. This year the scent embodies her : strong, liberated, and imbued with a natural rock attitude. She exudes a seductive allure and an ultra-couture elegance side by side, a mix of American spontaneity and French chic. For the last seven years Givenchy has highlighted every facet and nuance of the rose, the emblem of ultimate femininity. With this scent however, the rose is plunged into darkness, and is taken far deeper than its Very Irresistible predecessors. The radiant aroma of purple plum creates a juicy opening to the scent, fruity and fresh. The telltale wisps of Turkish rose start to darken the edges of the plum note, revealing a forthright character and a confident sensuality at its heart. As the scent begins to dry down, its intensity starts to become a second skin. An infusion of white musks and white patchouli lends a chypre touch to an unforgettable signature scent. The bottle retains its symbolic Givenchy ‘twist’ shape, an elegant Franco-American fusion of style and personality. Its original pink shade has been over-dyed and darkened to a deep plum hue, descending the flacon from deepest purple to clear transparency. For the first time, a lustrous silver motif is emblazoned upon the glass. Is it a tribal tattoo or a delicate lace appliqué? A couture touch for a scent brimming with intensity. This new edition is available now from Escentual. View the range. This entry was posted on Wednesday, January 26th, 2011 at 9:10 am and is filed under Coming Soon, Fragrance, Spotlight On. You can follow any responses to this entry through the RSS 2.0 feed. You can skip to the end and leave a response. Pinging is currently not allowed.